SolidWorks is a popular CAD program that is used by many engineers and designers . Although SW2009 has been announced lately, the programs previous version, SolidWorks 2008, is the one we are dealing this. 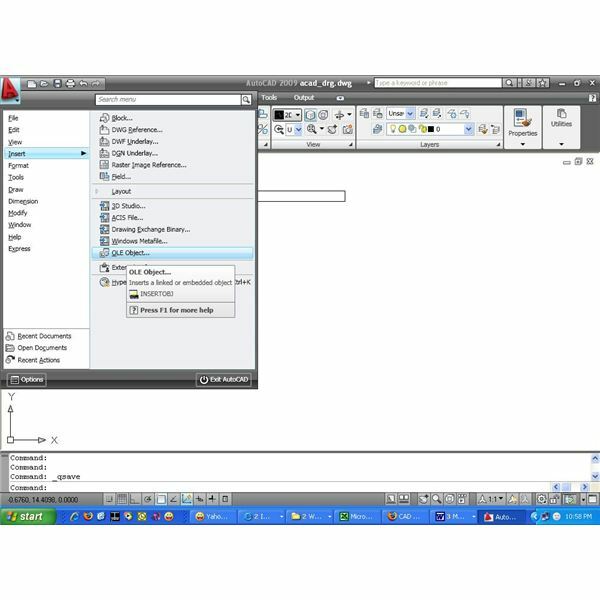 The 2 reasons for that are that not many users have already upgraded to SolidWorks 2009 and also that in the SW2008 a new look was introduced – making the 3D modeling process easier both for experienced and new users. After dealing with the sketch phase – including the “Sketch” procedure and entities – and covering the constantly visible View menu, we are now providing a complete overview of the most fundamental Extrude feature. But even as you are almost sure familiar with the command itself – read below to discover several new and advanced options of the Extrude. We are now going to look into those options more deeply. In SW2008 you have several options of the starting plane for your extrusion. 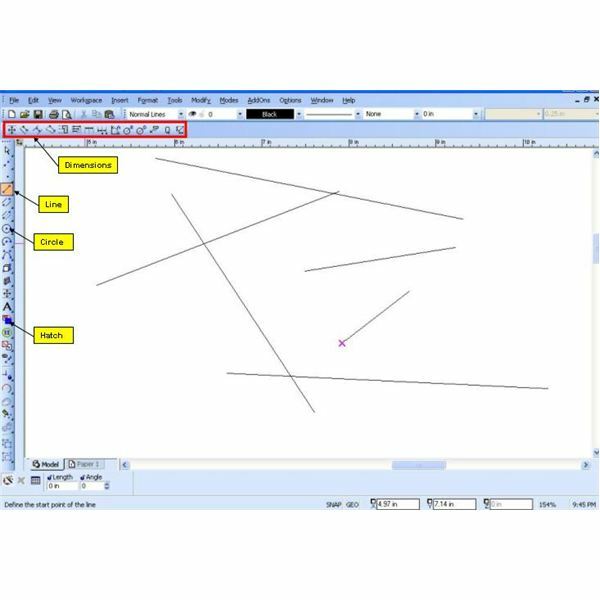 Sketch Plane – this is the most common option, starting the “elevation” of your sketch right from the plane it is drawn on. 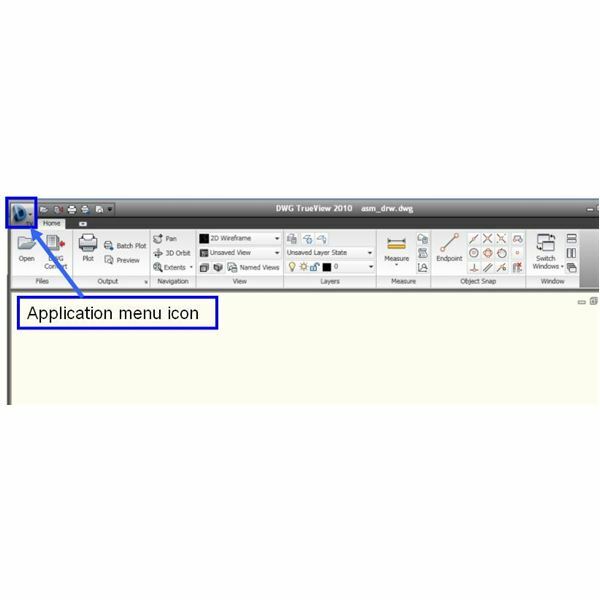 Surface/Plane/Pane – this is a useful option if you want to use the same sketch several times. Although the sketch itself s placed on certain plane, you can choose another plane (parallel to that one) to start the extrusion. If you choose a surface – you will have a projection of your sketch extruded. Remember, the extrusion is, of course, always perpendicular to the sketch/parallel plane. 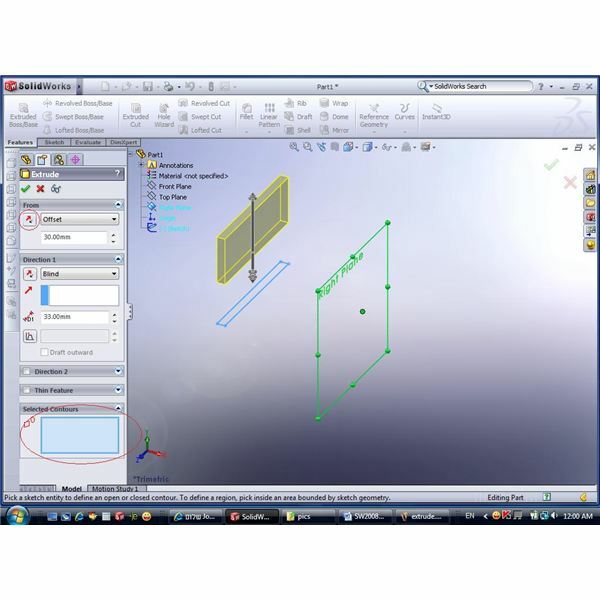 Vertex – You can select a point of your model that will define the origin of extrusion. A “virtual” plane – parallel to sketch plane will be created in that point. 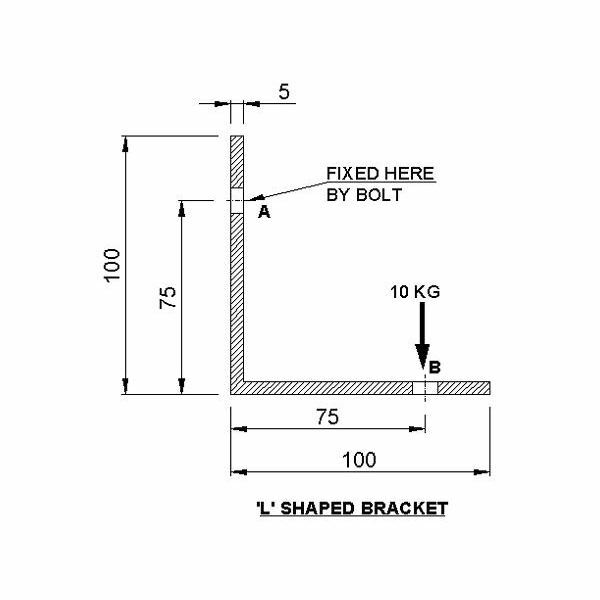 Offset – you can start your extrusion at certain distance of your sketch plane – just choose the offset distance as required. Remember, the offset is always positive – so you can switching the direction with the arrow button. This last option in the Extrude menu allows you to add contours to your extrusion. Remember, you can create several “bodies” using the same Extrude step. Bear in mind, though, that tose bodies will always have the same parameters (beside the constructing sketch) and could not be edited separately. Generally, this option is not advisable as it limits your future model.